This project is about Fashion and Business, as well as Business in Fashion. The intent is to represent how Fashion is one of the main points of interest and strength in a city like Milan. I want to show how these two aspects blend together from a street perspective. You can see the model having fun during a street shooting, a business man walking in the centre of the city where there is always famous brands on show. The fashionista and her vanity become clearly visible. 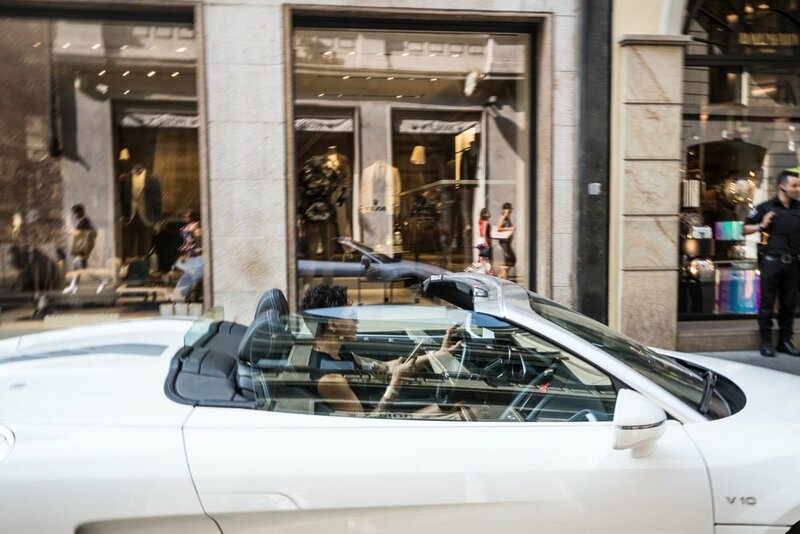 This blend of style and business attracts millions to Milan every year. It is what makes Milan tick. It is a street photographers dream. Beauty, style, light architecture, friendliness, culture and foot traffic that keeps you clicking all day.